The Ball State University Libraries’ GIS Research and Map Collection (GRMC) is coordinating an exhibit for the Muncie DWNTWN First Thursday Arts Walk. This Thursday, December 1 Twin Archer Brew Pub (117 West Charles Street) will be hosting an exhibit of maps of Indiana starting at 5:00 through 8:00 pm. And Keith Roysdon and Douglas Walker will be signing copies of their new book, Wicked Muncie. The map exhibit, “My Indiana Home,” features Indiana history maps created by the GRMC in celebration of the state’s Bicentennial this December 11. The maps cover Indiana’s rich political history, women’s history, military history, music, sports, and even movies that take place in the state. The newest map in the collection depicts the Vice Presidents from Indiana. The collection of Indiana history maps is available in digital format in the Libraries’ Cardinal Scholar repository or may be circulated from the GRMC. Teachers can use the maps for classroom exhibits or research, especially for fourth-grade Indiana history lessons. 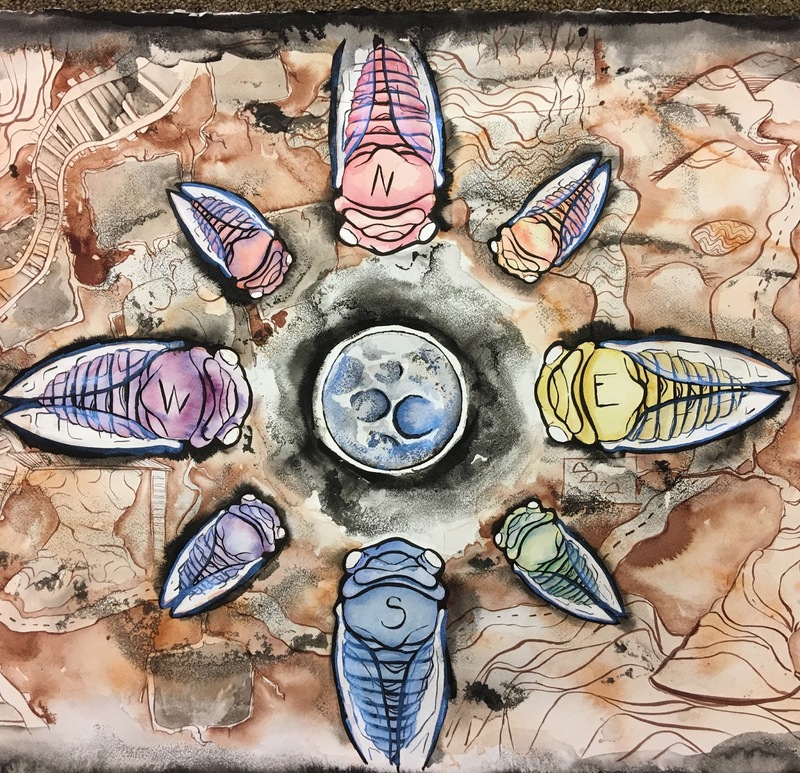 Ball State University students in Dr. Hannah Barnes’ watercolor and painting class also created original maps of their interpretation of home. 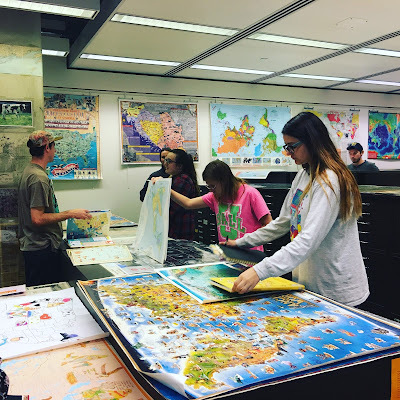 The students visited the GRMC to look at all the different kinds of cartography (above) for inspiration and then painted maps of their Indiana homes. 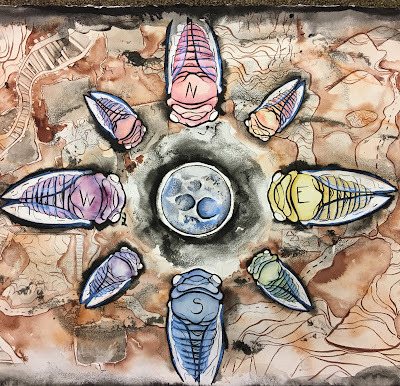 This collection is extremely creative: One student painted a compass rose of a common Indiana insect, the cicada (above). These maps will be included as a special collection in the Libraries’ Digital Media Repository. The book Wicked Muncie by Keith Roysdon and Douglas Walker describes the criminal history of Muncie. The authors explored the notorious and unusual side of Muncie’s history of crime, including murder, corruption, and illegal gambling. Books will be available for purchase and signing. Twin Archer Brew Pub serves all ages as a restaurant and a bar that serves craft beer. The menu includes fresh ingredients every day.